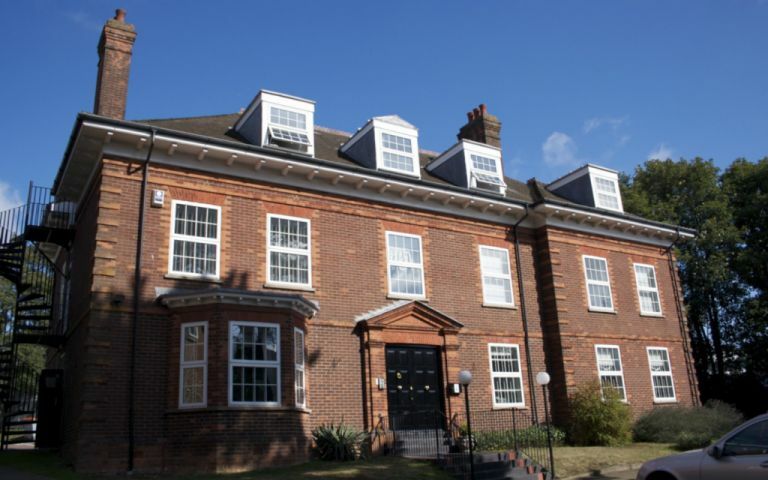 The serviced offices in Luton have a leafy aspect enjoying pleasant garden surroundings and benefits from ample secure parking. The accommodation is finished to a very high standard providing a stylish front for any business. The office space comprises of 5,000 sq ft of flexible interconnecting offices suites which can to tailored to suit individual clients immediate and future requirements. The centre offers elegant meeting and training room facilities, reception/secretarial support, digital business equipment, post delivery & collection, on-site Manager and Caretaker. It is our aim to provide high quality accommodation coupled with a comprehensive support services to fledgling companies, expending companies and larger operations wishing to benefit from fixed expenditure and minimal commitment. Short term and flexible agreements offered. Features: Virtual Offices, Meeting Rooms, Hot Desks/Shared Offices, Furniture, Reception, Parking, Secure Network, Boardband, ISDN, IT Support, Voicemail, Telephone Answering Facilities, CAT5, 24-hours Access, Security Patrols, Disability Access to Meeting/Conference Rooms, Toilets and Selected Suites, Shower Area and a Chauffeur Service. The Luton serviced office is perfectly positioned within the boundaries of London Luton Airport. The location is served well by road and rail. The Luton Parkway Station is just minutes away offering easy access to London and the North. We offer chauffeured transfers to and from local transport amenities. Newly refurbished modern business hub in the centre of Luton. Hot desking/coworking and office space available.